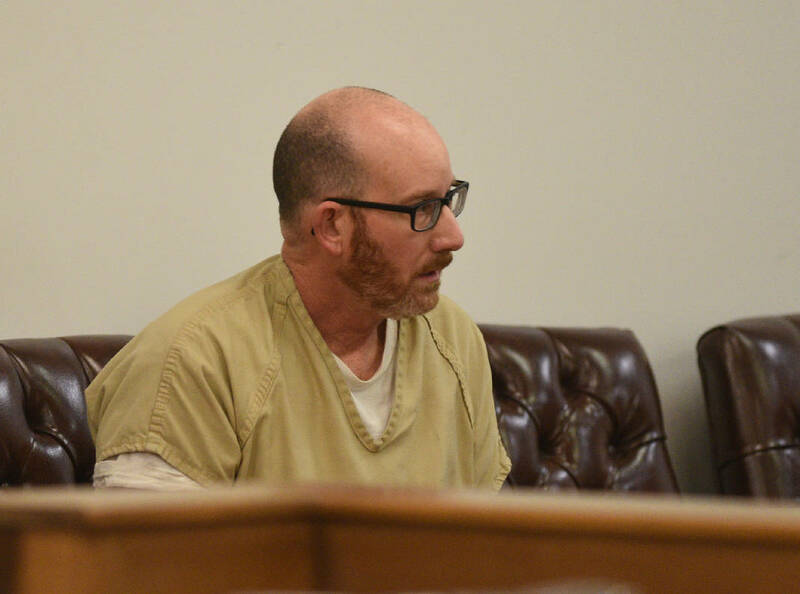 Murder charges against husband dropped for second time in Bradley County, Tenn.
Donnie Brantley, a man accused of killing his wife, walked out of Bradley County (Tenn.) Criminal Court a free man Monday morning for a second time. Brantley was charged with first-degree murder in 2013 and then again in 2016 after his wife, 51-year-old Marsha Brantley, disappeared in 2009. In a courtroom full of cameras, 10th Judicial District Attorney Steve Crump told Judge Andrew Freiberg the prosecution wanted to dismiss the charges against Donnie Brantley "without prejudice" because the state felt it didn't have enough evidence to prove a homicide was committed. "Without prejudice" means the charges can be refiled, Crump said. Brantley had been a person of interest in his wife's disappearance since at least 2011. Police searched his home with cadaver dogs in 2012, but he wasn't charged with murder until 2013. Those charges were dropped in 2014 for lack of evidence. Crump said he made the decision Saturday after reviewing a defense attorney's memorandum in support of a motion for acquittal: there was no body, no crime scene, no witnesses, no forensic evidence and no confessions to support a conviction. He said the file will be moved back to the cold case unit, even though Marsha Brantley still is listed as a missing person on the National Missing and Unidentified Persons System. "We're not done with it, yet," Crump said. But Donnie Brantley's attorney, Lee Davis, said the reason the case was set for trial Monday is because investigators took the file to the cold case unit in 2014. That's when Crump took over as district attorney and reviewed the case and the evidence with a team of investigators. Donnie Brantley's 2016 indictment was a result of that review. "The proof led me to one inescapable conclusion in my mind, which gave me the belief we should go forward," Crump said in 2016. At the time, he wouldn't discuss details of the case or say whether new evidence had been uncovered. Davis said he isn't aware of any new evidence. "I haven't seen any from the original indictment, and I think it's important for the public to know that this man has twice been indicted, twice been taken into custody, twice had his life turned upside down," he said. District Attorney General Steve Crump, left, speaks Tuesday, Dec. 13, 2016, after Donnie Brantley was arraigned in the Bradley County Criminal Court as Sheriff Eric Watson, center, and Calvin Rockholt listen. Marsha Brantley's aunt, Medra Justis, told the Times Free Press she was disappointed with Monday's decision but thinks dismissal was the right call and trusts the district attorney's decision. Jury selection was set to begin at 8:30 a.m. Monday. But by 8:40 a.m., a stream of would-be jurors left the courtroom and went on their way. Minutes later, charges were dismissed, and Freiberg told Brantley he was free to go. Brantley gave a statement outside the courthouse. With his daughter, Elise Floyd, and his attorney by his side, he thanked the court and his family for their support. Floyd said she was happy with the outcome and it shows "there is no case here." She told reporters she'll be able to sleep much better now that her father is free. On a public Facebook page set up to keep people up to date on the case, friends and family posted in disbelief at the outcome. "I am so sorry to see this dismissed again," wrote Heather Keys. "Continuing prayers for justice." Questions still remain as to what happened to Marsha Brantley. She worked at Lee University and was a freelance writer. She ran a blog called The Magpie's Nest, which hasn't been updated since May 10, 2009. "Donnie and I saw the new Star Trek last night. WOW! What a ride!" her last post reads. "I'm not usually a fan of action movies, but this one is the exception." She posted to her blog almost daily in 2008, but her posts became more infrequent as time went on. By 2009, she posted only a few times per month. Her second- to-last blog entry was a happy anniversary wish to her husband March 31, 2009. "I remember Donnie and I saying how much we looked forward to getting past the wedding and getting on with 'real' life," she wrote. "Nine years later, a lot of water has gone under that bridge, equal parts happy and sad, and I love him more than I ever thought possible." "Happy anniversary, baby. I love you!" Marsha Brantley had no children and no siblings, and both her parents died in 2000, family members previously said. She wasn't very close to any relative so it was several months before Justis, who lives in North Carolina, found out through Facebook that her niece was missing. The veil of mystery surrounding the case has attracted national media attention, including the CBS News program "48 Hours." Those unanswered questions led prosecutors twice to dismiss charges against Donnie Brantley. Crump said there were "major issues" with "jurisdictional territory." In Tennessee, a court must have proof that the crime in question was committed within its jurisdiction. In the Brantley case, there is no proof a crime was committed in Bradley County, Davis said. Marsha Brantley's body has not been found. "What they're doing is pyramiding these assumptions, one on top of another, but they're not dealing with the fundamental question of, 'Why is there no crime scene, no body, no proof, no witness, no murder weapon?'" Davis said. "They've focused on Donnie 100 percent, but why haven't they looked for her?" Nevertheless, Crump said he is committed to seeing the case through to the end. "There are times when prosecutors make decisions, that even though they may believe the facts lead in a particular direction, they want to wait and make sure they can prevail when they end up going to trial," he said. "Today was certainly not the end." Even though her body has not been found, investigators have determined Marsha Brantley is dead and are treating her death as a homicide. "She's been gone for nine years with no evidence or trace of her anywhere," Crump said. "There was no suicide note, no evidence of suicide, she suffered from no significant illnesses." Marsha Brantley was reported missing in November 2009, but she was last seen by friends in late May or early June 2009. Her husband did not report her missing, and when questioned, he told authorities she left him and was seeking a divorce. In July 2009, a neighbor asked Donnie Brantley where his wife was, the Times Free Press reported. No one had seen her in about a month, and she walked her dogs almost every day. The woman said Donnie Brantley told her that his wife had gone out West for a vacation. Others said he told them that his wife was visiting some missionary friends, or that she was trying to "find herself," or that she had just plain left him. A divorce would soon follow, he allegedly told some. Justis said Monday that the family won't stop looking for Marsha Brantley. She said she doesn't believe her niece is still alive. Marsha Brantley would have reached out to her by now, she said. In her last blog post, Marsha Brantley encouraged her readers to watch the 2009 film "Star Trek." "Would I recommend it? Yep, you bet," she wrote. "Take a couple hours off this weekend, get a bucket of popcorn, strap in and enjoy the show." "Brantley out," she signed off, never to post again. This story was updated Feb. 5, 2018, at 11:59 p.m. with more information.